Hello friends! Cuphead has only been out for two weeks and we never could have dreamed of the reception we’ve received from our amazing fans! 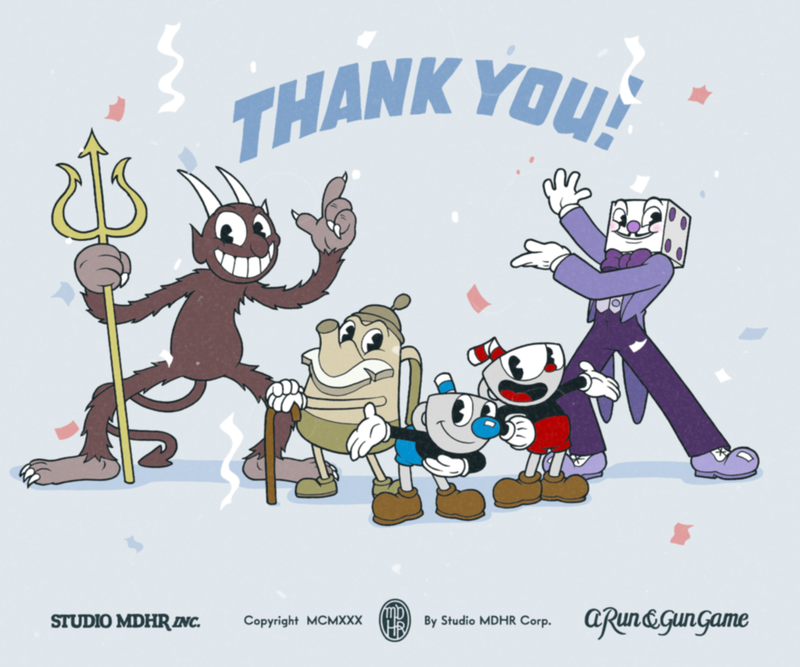 Today, we wanted to take a moment to thank each and every one of you for your support and we’re excited to share that Cuphead has gone platinum with over 1 million units sold!